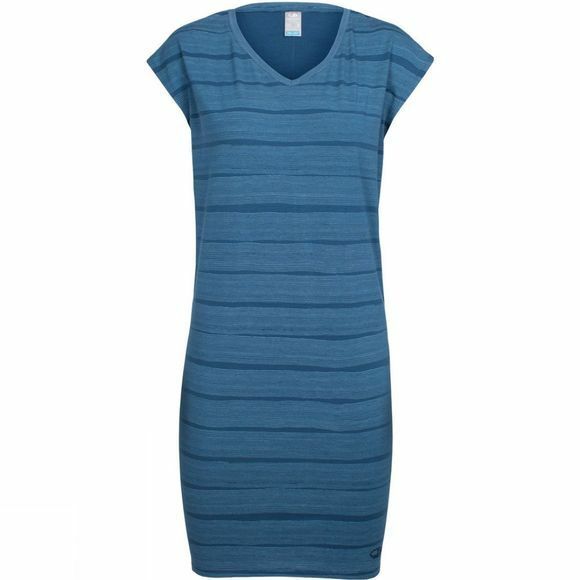 The Womens Yanni Tee Combed Lines Dress from Icebreaker is a sporty, relaxed-fit summer dress made with our Cool-Lite fabric for active pursuits and daily, warm-weather wear, the Yanni Tee Dress Combed Lines combines technically capable fabric with laid-back comfort. Our breathable, odor-resistant and quick-drying Cool-Lite jersey fabric combines soft merino wool with natural Tencel and nylon, with a touch of Lycra for active stretch. The relaxed fit and V-neck T-shirt silhouette provides reliable, relaxed comfort, while the center back seam makes for a flowy drape.